Holdouts continue for a number of NFL stars but they’re not the only ones expecting new contracts before the first week of the regular season. On Monday, Giants wide receiver Odell Beckham Jr. got paid with a massive $95 million contract extension. On Tuesday it was Bengals defensive linemen Geno Atkins and Carlos Dunlap who received new deals. Earlier this offseason we saw contract extensions come in for Todd Gurley, Brandin Cooks, Stefon Diggs, Taylor Lewan, Jake Matthews, and Matt Ryan to name a few. But there are still some big-name players who are set to hit free agency in 2019 and would like new contracts before the 2018 NFL regular season begins. So, who could be receiving contract extensions in the week and a half leading up to the NFL regular season? Rodgers will surely become the NFL’s highest-paid player when he receives a new deal and it’s very possibly coming in the next 10-15 days. He actually isn’t set to hit free agency until the 2020 offseason, but he’s still itching for (and deserving of) a new contract. After making three Pro Bowls in the last three years, Mack is looking for a big new deal from the Raiders and is currently not participating in practice while waiting for his pay day. He held out all spring and summer and it’s unclear when he’s going to show up in Oakland. Meanwhile, Jon Gruden says its been a “grueling” process for all involved. And Silver and Black Pride argues this is not the way Gruden wants to kick off his return to Oakland. Another player holding out, Donald could sit out during regular season games if the Rams don’t reward him with a new contract. And the Rams say they’re not seeing eye-to-eye with the 2017 NFL Defensive Player of the Year. There’s allegedly “increased optimism” that a deal will get done soon, which is necessary as the season quickly approaches. There’s been drama with Thomas all offseason as he wants either an extension or to be traded. He’s also holding out while waiting for whichever of those things happens first. Field Gulls makes a good argument for why the Seahawks should pay the man! Other big-name players who are set to hit free agency in 2019 include Cardinals RB David Johnson, Eagles DE Brandon Graham, Packers WR Randall Cobb, Dolphins DE Cameron Wake, Panthers C Ryan Kalil, Texans LB Jadeveon Clowney and all of the guys playing on the franchise tag who are not eligible for new contracts until 2019: Cowboys DE Demarcus Lawrence, Lions DE Ezekiel Ansah, Steelers RB Le’Veon Bell and Rams S Lamarcus Joyner. As the preseason comes to a close, retired NFL lineman Geoff Schwartz checks in with the rookie QBs and the new helmet rule. What could the Raiders get if they actually trade Khalil Mack? The Packers, Jets, and Bears are the betting favorites to land Khalil Mack if a trade happens. Tom Brady will have to spin gold from a weak Patriots wide receiver corps. Again. The Patriots receiving group is bad. But is it 2006 bad? 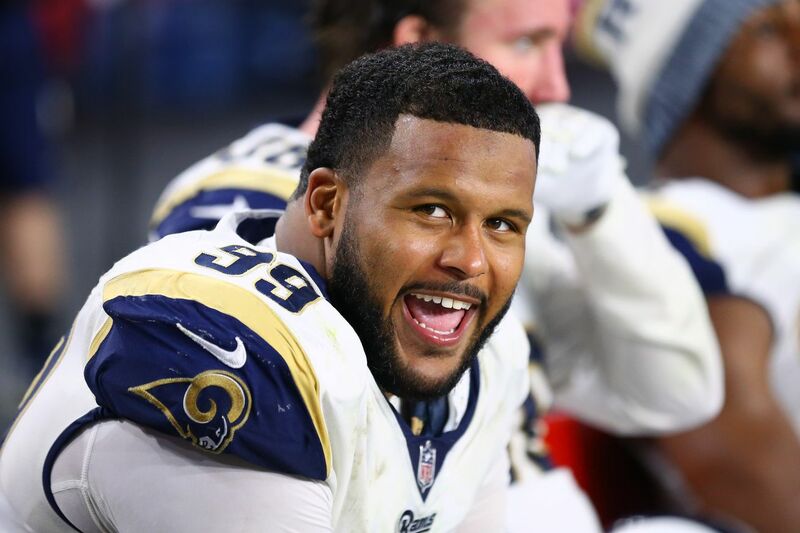 Aaron Donald’s hunt for a record-breaking deal wasn’t helped by Geno Atkins’ contract extension. Is Pete Carroll trolling Seahawks fans with tweet about “Mack”? “Hard Knocks” continues to gift us with more of Hue Jackson’s one-liners and nicknames. Hue Jackson has gone from calling Josh Gordon a bird who has landed, to a “big fish.” Will continue to monitor. Which Items Are Good To Pawn Or Sell?